The holidays can be a stressful time for many parents who want to celebrate with their children but face the harsh reality of limited budgets. And for moms experiencing homelessness over the holidays – like those staying in our Broadview Emergency Shelter & Transitional Housing facilities – making the holidays special is an even greater challenge. The Mariner Moose, along with former Mariners Julio Cruz, Dave Henderson & broadcaster Rick Rizzs, provide a joyous annual holiday party for Broadview families. So imagine the joyfest (i.e., happy chaos) that ensued on December 9 when the Mariner Moose himself – dressed in a Santa suit sporting the number “00” – burst into the room during a Broadview holiday pizza party, handed out signed posters, and took photographs with each kid! An annual tradition at Broadview for almost two decades, this party (and others like it) is part of Rick & Dave’s Toys for Kids. Eighteen years ago, Rick Rizzs and Dave Henderson sat enjoying a cold beer at F.X. McRory’s in Pioneer Square a few months before the holidays. A news story came on the pub’s TV reporting on the more than 8,000 people experiencing homelessness in King County at the time. Rick and Dave wondered, “What about the kids? What kind of holiday celebration could their families afford?” The guys decided they wanted to do something to ensure that even kids without a place to call home had a way to celebrate. So they rounded up a group of then-active players – including Jay Buhner, Raúl Ibañez, Bill Krueger, Edgar Martínez, Jamie Moyer, Jeff Nelson, John Olerud, Matt Sinatro, Omar Vizquel and Dan Wilson – and they held a fundraising dinner which raised $18,000 that first year to buy toys for kids for the holidays. They did some research to find out how they could get the toys to kids in need, and Broadview was among the first three organizational recipients. The next year, the Mariners RBI Club members got involved, including Bill King, Virg Fassio and Bob Simeone, and they added an auction to the dinner. (RBI stand for “Real Baseball Involvement;” the Club consists of volunteers who connect the Mariners with local community and charity activities.) Each year since, the amount raised and the number of organizations supported have grown. This year’s event was held at the The Harbor Club Bellevue. $225,000 was raised, resulting in 7,000 children – all of whom are accessing services at 19 different local human service organizations – receiving holiday joy via Toys for Kids. 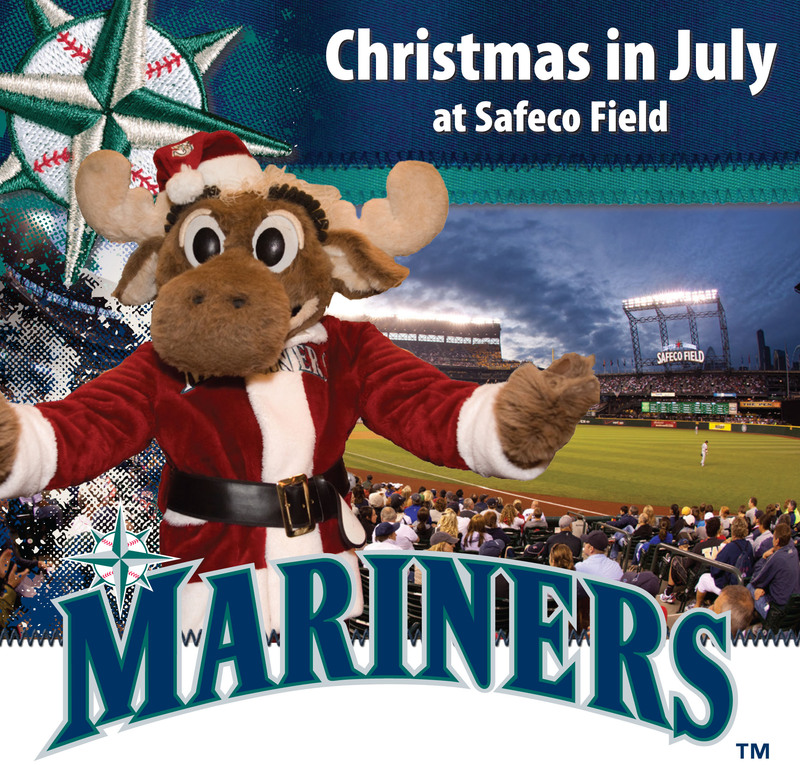 The Seattle Mariners and Rick’s Toys for Kids are presenting the first ever Christmas in July on Thursday, July 25 at Safeco Field. The Mariners will take on the Minnesota Twins with a 7:10pm first pitch. A portion of ticket proceeds will benefit Toys for Kids, the charity started many years ago by M’s broadcaster Rick Rizzs and former M’s centerfielder Dave Henderson. Toys for Kids supports children and families who are homeless and surviving domestic violence, including the residents of Solid Ground’s Broadview Emergency Shelter & Transitional Housing and Brettler Family Place programs. Toys for Kids has provided loving, generous, magical year-end holiday celebrations for hundreds of Broadview residents. Rizzs and Henderson are truly revered for this work by everyone connected to Broadview and the other programs involved. So, come on out to Safeco Field and enjoy a night of baseball while supporting a great cause. Tickets are $20 with $8 going directly to Toys for Kids! Select “Buy Tickets” then enter “Christmas” as your Special Offer Code. Purchase and print your tickets instantly! The deadline to purchase is July 24! Solid Ground’s 13th Annual Building Community Luncheon was a resounding success! Over 650 people attended and we have raised in excess of $220,000 to help turn generational poverty into generational thriving! Thank you to all of you who gathered with us on Friday, April 5. 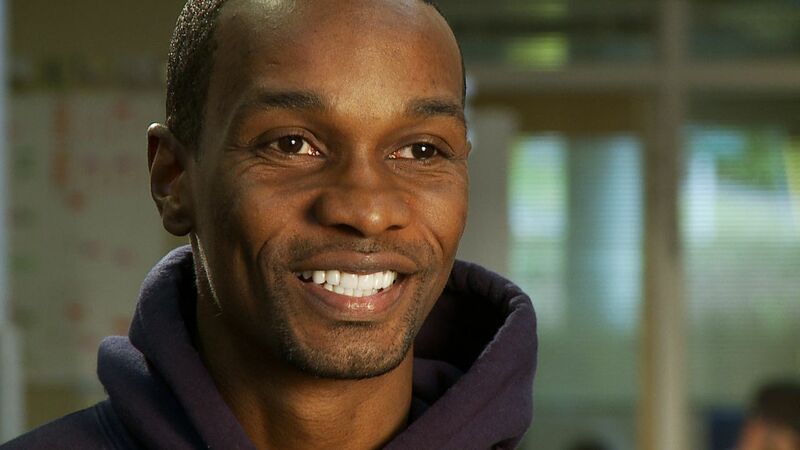 You are actively changing the story for 50,000 people a year: people like Johnnie Williams, who as a teen at Broadview learned to draw on his skills and strengths, build new ones, and land in a place of stability, where he could give back to the community and mentor others. Your investment in this work makes our community stronger. You are our partners in this work and we are incredibly grateful. You can watch the full story of Zufan and her daughters, as well as youth mentor Johnnie Williams here. We were also delighted to invite Paul Tough to discuss the ways an organization like Solid Ground can help children living in poverty succeed. The highlight of the program for me, personally, was when Paul was asked how he would invest $500 million to close the achievement gap and asked, “Could I just give it all to Solid Ground?” My answer to that is a resounding yes! (Paul, we’ll be following up with you on this later). Most importantly, the Luncheon would not have been possible without the generous support of our sponsors. By underwriting the cost of the event, every dollar raised by our guests goes directly to Solid Ground. We’d like to give a special thank you to AT&T, the Presenting Sponsor of the Luncheon this year. AT&T has had a strong legacy of investment and impact in the communities they serve for over a quarter century, and Solid Ground is delighted to be amongst AT&T’s partners. If you are interested in getting involved with Solid Ground events as a table host, guest or sponsor, email me at meganl@solid-ground.org.